A LATVIAN AIR Baltic pilot and three crew members were pulled off a Greece-bound passenger plane in Oslo today after failing a breathalyser test before take-off, Norwegian police said. “Results of the breathalyser tests confirmed that four of the five crew members … were above the legal alcohol limit,” Romerike police prosecutor Edith Ek Sorensen told AFP. The pilot, co-pilot and two stewardesses — all from Latvia and employed by airBaltic – were taken into police custody and escorted to hospital for blood tests to confirm the breathalyser tests. Sorensen said police had acted after receiving a tipoff from an anonymous caller around 4am (2am GMT). The four risk up to two years in prison if found guilty. Sorensen would not comment on the flight’s destination, but Norwegian daily Dagbladet said it was a tour group flight operated by the Norwegian group Startour headed for Chania, Greece, with 109 passengers on board. 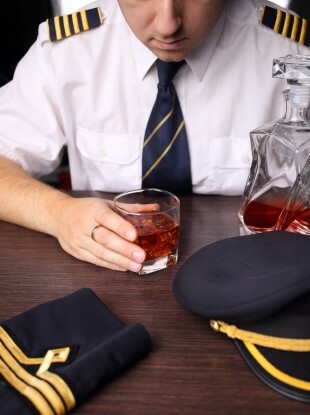 Email “Budget airline cancels flight after pilot and crew fail breathalyser test”. Feedback on “Budget airline cancels flight after pilot and crew fail breathalyser test”.